I am very excited to be taking part in the While You Were Sleeping blog tour! I loved this book! Kathryn Croft is a fabulous writer and Bookouture have done it again. They really do have the most awesome authors!! 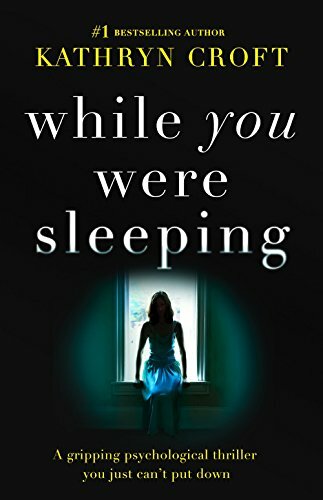 I was over the moon when Kim at Bookouture asked me if I would like to be part of the blog tour for Kathryn Croft’s While You Were Sleeping, which was released on 16th November 2016. Having read and enjoyed The Girl With No Past last year (my first ever blog review!) I was sure I would enjoy While You Were Sleeping and I wasn’t wrong!